Thailand's pension system was completely restructured in the late 1990s. It now comprises the Old Age Pension, a pay-as-you-go financed state pension scheme for the private sector workforce, and the Government Pension Fund, a defined contribution pension system exclusively for civil servants. Participation in these two schemes is mandatory. Occupational pensions may be provided on a voluntary basis by provident funds. In addition, voluntary retirement savings can be made through personal savings plans, including the Retirement Mutual Funds, which target employees not covered by provident funds and/or those who wish to enhance their retirement savings. The Government Pension Fund was introduced in 1997 and covers central government officials. In the long term, this new defined contribution system will replace the former unfunded defined benefit scheme. Civil servants employed in areas other than the central government are provided with defined benefit pension promises and/or enjoy coverage under employment-related provident funds. In 2008, the government plans to introduce the National Pension Fund (NPF), a new mandatory retirement savings program. It is intended to supplement current pension arrangements, as they have failed to provide sufficient coverage. The proposed mandatory pension scheme, which is set to cover employees in the formal sector, will be defined contribution in design, with individual savings accounts. Asset management will be outsourced to external fund management companies. During the last century, Thailand's population was one of the fastest growing in Asia. In the 1970s, the National Family Planning Program attempted to reduce high fertility rates. The measures implemented successfully reduced population growth. The fertility rate dropped from 6.4 children per woman in 1960, to 3.8 in 1980, and to 1.8 today. For this reason, Thailand is currently facing the same demographic challenge as most other countries in the region. The drop in fertility levels and increasing life expectancy are causing the old-age dependency ratio to rise considerably. It is expected to worsen from 11% today to 38% in 2050. This will lead to a rise in the median age, from 32.6 years today to 43.6 years by 2050. The Provident Funds' current pension assets amounted to EUR 8.2 billion at the end of 2006, while those of the Retirement Mutual Funds amounted to EUR 540 million. We expect annual growth of 18.8% until 2015 for the former and of 21.5% for the latter. For the soon to be implemented National Pension Fund, we project rapid asset growth, to EUR 4.3 billion over the same period. Pension coverage for private sector employees has only existed since 1999. As part of the social security system, the compulsory old-age defined benefit scheme was introduced to complement the existing system that covered only disability, maternity and sickness. The Old Age Pension is a pay-as-you-go pension scheme that is financed by both the employer and the employee. Participation in the scheme is mandatory for private sector employees. The employer and the employee each pay a contribution rate of 3% of gross salary, up to a contribution assessment ceiling of EUR 319 (THB 15,000). The government adds an additional 1%. Today, every company with at least one employee is obliged to contribute to the Old Age Pension. There are currently 9 million employees covered by the scheme. Around 22 million people are employed in informal activities and are therefore not covered by social security. To receive a full pension, contributions must have been paid for at least 15 years. Pensions are payable at the age of 55. Contributions to the Old Age Pension are tax-deductible and benefits are tax-exempt. The first pension payouts will start in 2014. The current surplus is entirely invested in Thai bonds by the Social Security Office. Negative cash flows are expected as early as 2026. The accumulated reserves will be exhausted by 2049, implying a predictable burden on the governmental budget. Until 1997, all public sector employees were covered by the old civil service scheme, which was a non-contributory defined benefit plan. With the introduction of the Government Pension Fund in 1997, the public sector pension landscape became more heterogeneous. Today, different schemes apply for central government officials, central government regular employees and local government officials as well as employees of state-owned enterprises. However, most pension schemes offered have one feature in common. Defined contribution pension plans now supplement the former defined benefit pension schemes. Central government employees were given the choice between the newly established Government Pension Fund and the old civil service scheme. Local governments retained the old system, and some state-owned enterprises replaced the old pension scheme with provident funds. Under the defined benefit system, central government officials are entitled to receiving a pension in the form of annuity payments, provided that they have at least 25 years of service, or 10 years of service and are aged over 50. In general, lump sum benefits are paid to those who have at least ten years of service, or one year of service and are over 50. Central government officials in Thailand are covered by the Government Pension Fund (GPF), a defined contribution scheme. Established under the GPF Act in 1997, government officials were given the choice either to join the GPF or stay in the old defined benefit plan on a non-contributory basis. All new governmental employees must join the Government Pension Fund as contributing members. The Government Pension Fund currently covers 1.17 million civil servants. Contributing members pay 3% of their salary and the employer matches this amount. To compensate for benefit losses caused by the switch from the old defined benefit scheme to the new defined contribution scheme, the employer contributes an additional 2% of salary for both contributing and non-contributing employees. In addition to any applicable benefits from the old defined benefit system, civil servants who have opted to join the GPF will receive the amount accumulated in the GPF scheme plus interest as a lump sum at the age of 60. Under the GPF framework, annuities are not available and assets are not portable. GPF contributions are tax-exempt up to EUR 6,378 (THB 300,000) annually. Upon retirement, benefits are not subject to income tax. Thailand is currently planning to introduce the National Pension Fund (NPF), a new mandatory retirement savings scheme for all workers in the formal sector. The NPF will operate with individual accounts on a defined contribution basis. Employees and employers will have to contribute 3% of wages each within the first five years. Contribution rates will increase to 4% in year 6, and to 6% in year 11. Contributions are tax-exempt. Assets will be managed by private assets management companies, which will be required to obtain licenses from the Securities and Exchange Commission of Thailand. While the implementation of the National Pension Fund was originally scheduled for January 1, 2007, it has been delayed. There will be a phased implementation, primarily covering enterprises with at least 100 employees only. Companies with 10 to 99 employees will have to implement the scheme in year 6, and companies with less than 10 employees will be obliged to do so in year 11. A steering committee was commissioned to develop an appropriate structure for the scheme, in line with existing pension arrangements. The National Pension Fund is intended to complement rather than replace existing voluntary pension arrangements. Company-sponsored pension plans can be provided on a voluntary basis in the form of registered provident funds. Establishing a provident fund is mandatory for companies listed on the stock exchange. Set up as independent legal entities under the Provident Fund Act, provident funds are separated from the sponsoring undertaking. Assets must be kept with a custodian that has to be approved by the Securities and Exchange Commission. A fund committee comprising employer and employee representatives is responsible for supervising the fund's activities, appointing a management company responsible for administration and managing assets. They are also in charge of determining the appropriate investment strategy. Management companies generally offer a set of investment strategies that the fund committee may choose to invest in. Provident fund providers may be commercial banks, finance companies, securities companies, mutual fund management companies and life insurance companies, among others. Furthermore, fund providers must obtain a license from the Ministry of Finance to carry out private fund management. Employees may contribute between 2% and 15% of their salary, and the employer matches this amount. Contributions in excess of 15% must be approved by the Ministry of Finance. Each fund must define its own rules with regard to vesting periods of employer contributions. If it does not, the entire sum accumulated is paid to the employee upon termination. Almost 100% of provident funds registered in Thailand require a period of 10 years or less for members to obtain the full a mount of employer contributions included. Less than 5% extend the mandatory period beyond 10 years. There is no requirement for plans to insure against financial losses, i.e. no preservation of member contributions has to be provided. There are currently 519 provident funds in the market, and 42% of these have more than 1,000 members. The number of provident funds has steadily decreased over time as a result of consolidation into pooled arrangements. Around 87% of provident fund assets are allotted to asset management companies. The fund committee is free to define a specific investment strategy that the chosen management company must implement. It can also give the fund manager the freedom to manage investments at his discretion. In order to diversify investment risk, limits are imposed on different asset classes set by the Securities and Exchange Commission. Effective asset allocation can be seen as quite conservative, with the bulk of assets invested in less risky assets such as bank deposits and government bonds. Accumulated capital is usually paid out as a lump sum equal to accumulated employee contributions and employer vested contributions, plus interest. There is no requirement to buy an annuity. Employee contributions are tax-exempt up to certain limits. A tax allowance of EUR 213 (THB 10,000) applies, which means that yearly contributions up to that sum directly reduce the tax liability. In addition, contributions exceeding EUR 213 (THB 10,000), but not higher than EUR 6,165 (THB 290,000) per annum, are tax-exempt, provided that they do not exceed 15% of income. In contrast to a tax allowance, tax-exempted amounts are deducted from gross income, therefore reducing the amount assessable for income tax, but not the tax burden itself. The employer can deduct up to 15% of salary as expenses for corporate tax purposes. From the age of 55, benefits from provident funds are tax-exempt without limit, as long as membership in the plan has been at least five years. The EEE taxation principle applies. Over the last decade, Thailand has resolutely developed its pension system. Among Asia's emerging markets, it is the only country other than South Korea with a comprehensive and mature public pension pillar, at least in the formal sector. This is remarkable, especially because Thailand has third-lowest per capita income of the countries covered in this study. 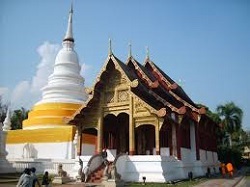 Compared with other Asian countries, Thailand established a DC scheme for civil servants very early to ease the pressure on public finances stemming from DB schemes. The planned introduction of the National Pension Fund, a mandatory defined contribution pillar for private sector employees, will help provide diversified retirement income. With a social insurance system, the future DC pillar for the private sector and the voluntary Retirement Mutual Funds, Thailand will have a pension system that is largely based on the World Bank model. The coverage of workers in the informal sector, however, will remain on the political agenda in years to come.